Be very carefully what ever you are doing with these crocks. Emails of this nature are a crock. The people who send them, however, are crooks. “Be very carefully what ever you are doing” with them. This particular specimen of scam email from Benin is so poorly-written that it defies logic that anyone would fall for it. Some have postulated that scams of this nature are deliberately poorly written so as to entrap the dumbest of the dumb, but I can’t even conceive of anyone thinking that this is real. In the course of our General Auditing and Account revision of this first quarter of the year 2015, we discovered that the Bank Accounts belonging to some Benefactors have been changed on the basis that the owners have died some time last year or have given out an authorization note of change of data. Anything contrary to this claim will help us charge this man to court and prosecute him while your fund will be paid to you immediately without any further delay. You have to get back to us on time for us to commence legal proceedings against this Dr Thomas Ray. his Associates and his accomplices. Note: to help us fish this people out any where they are this massage should not be forwarded to them or any body, and also stop what ever you are doing with them it is for your own good Be very carefully what ever you are doing with these crocks. I promise you this commission most assist you to make sure your funds gets to you without delay only if you can comply with our advice. Meanwhile the instruction is that if you cannot be in the Bank and sign the documents then you are to send An Affidavit of Support from the Probate Court Registry Authorizing a Government Accredited Attorney to sign documents on your behalf. The cost of the Affidavit of Support is $90 and anybody asking you to pay any Amount above that should be reported to my office immediately for Persecution as Government has decided to deal decisively with anyone trying to encourage corruption which has dented the image of this Country among comity of Nations. Lest anyone think that sending $90.00 to Benin will entitle them to millions of dollars, even if you were foolish enough to send this money along, you can be guaranteed that there will be fee after fee after fee demanded for this, that, and the other – in other words, these consummately evil eaters of pig dung will milk you for every penny you are dumb enough to send. 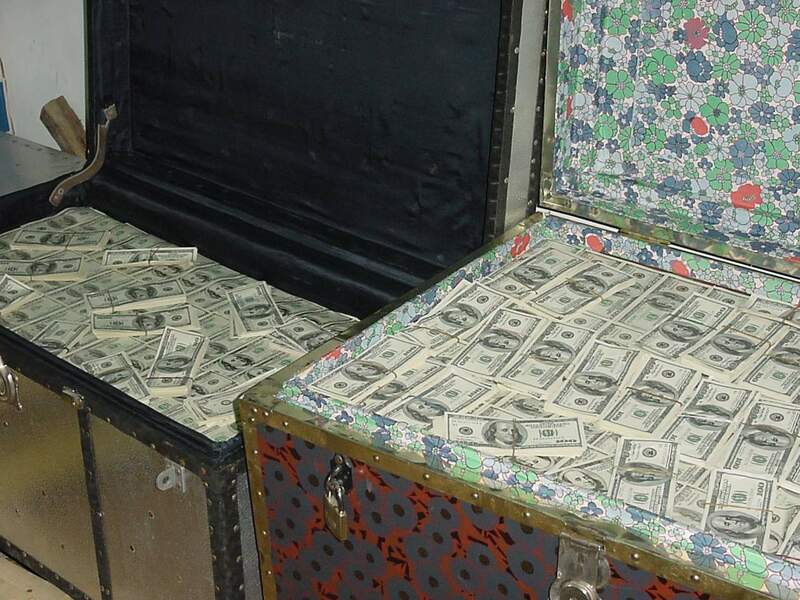 Remember, these “money trunks” do not exist. This is a cleverly-faked picture. There is no money waiting for you in Africa. Never send money to an unknown person via Western Union, Money Gram, or Green Dot Money Pack Card, or any other method. This entry was posted in Fraud and tagged Benin, email scams. Bookmark the permalink.